Outfit repeating is completely acceptable if not many people have seen you in it - right? I did an outfit repeat this week from last Saturday because this combo was so comfortable and not many people saw me in it either time - unless you count everyone at a family friends 50th, which I don't. Therefore there's a chance that I will do it again. It's mid-semester time at uni now, and as always it has crept up out of nowhere and you don't realise it until you're drowning in assignments and test revision. Fortunately I've stayed on top of everything for the most part, although I don't know if I can say I'm looking forward to mid-year holidays because I've signed myself up for Winter semester as well... at least it cuts down the length of my course, right?! Looooooovely outfit! Amazing so simple but chic. I love the shoes they are so lovely! 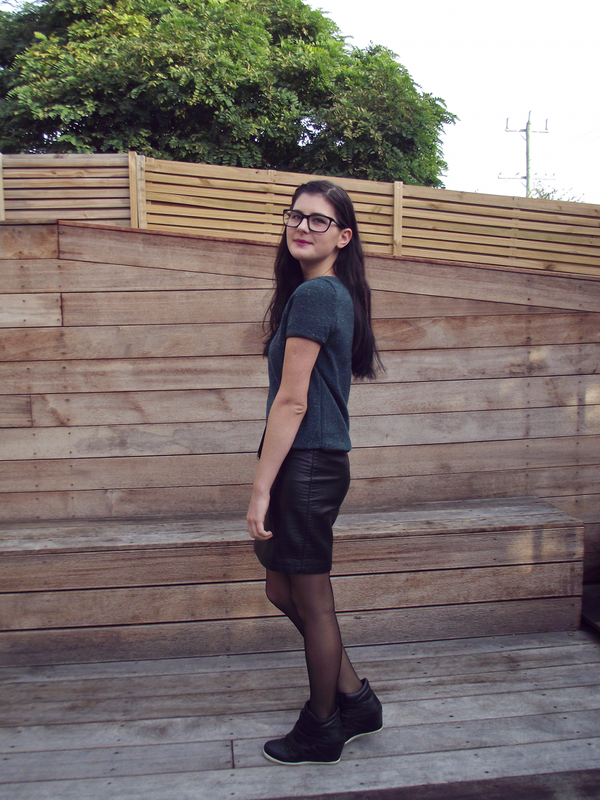 Love your style and this blog! Frolic my blog maybe we can follow each other just hyped your looks! It's a grey love :) amazing shoes! I love your outfit! Awesome look! I love love love leather! The skirt is stuning! Nice styling! Your blog is great! your really good! How long have you had this blog :)?!?! Like fashion? Then come down to my blog like now! Love it! So casual yet trendy - especially with that gorgeous skirt and those funky wedge sneakers! It takes the outfit up a notch. 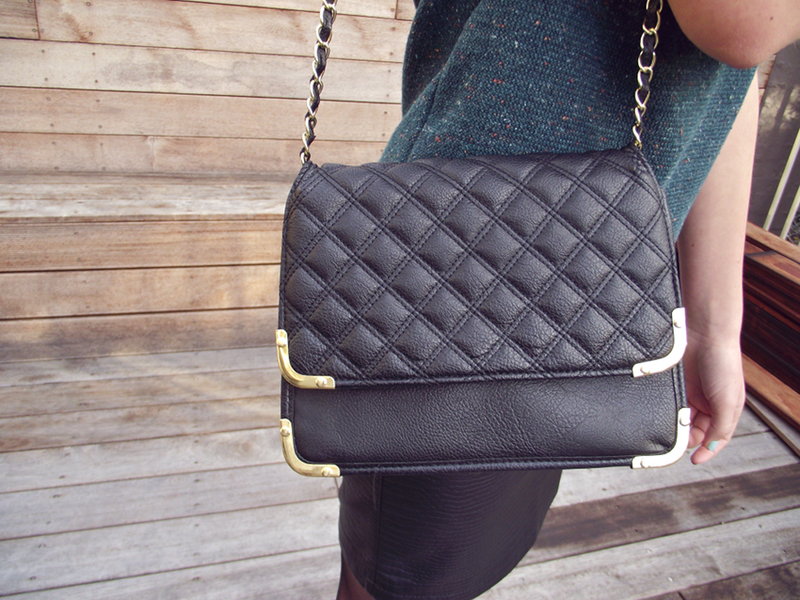 Such a pretty purse and loving your skirt!